Leagues are ending, trophies are being handed out, some ended short, some ended in the top of the table getting the gold. 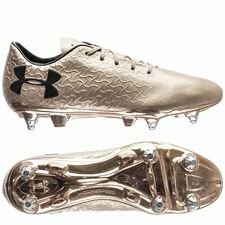 Under Armour has made a new colourway which rushes the players to get the gold, while also celebrating the World Cup this summer! The last couple of weeks have been all about the titles races and lifting the league and cup trophy’s. To celebrate these festive moments the different brands gives their boots a true champion feel colourway. And that’s not an exception when it comes to Under Armours Magnetico football boot! In less than a month we are going to have the World Cup up and running. Some squads are already been announced, and we can’t wait to see Alexander-Arnold and Granit Xhaka run around in their golden Magnetico boots while shining the pitch up! The Under Armour Magnetico may be one of the most underrated boots on the market. 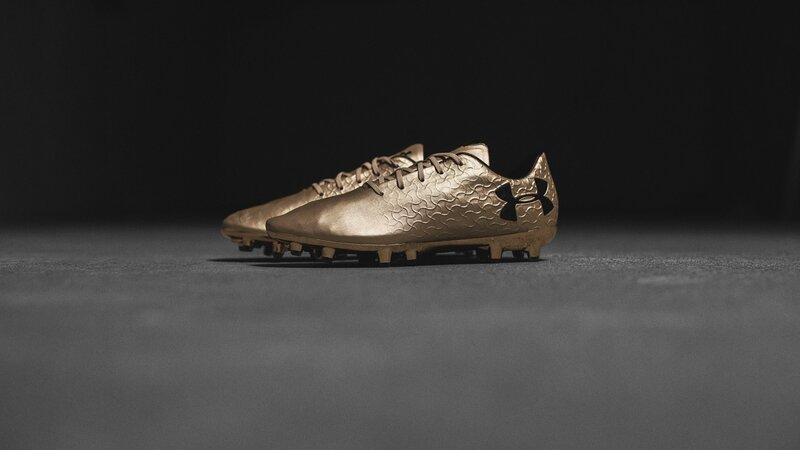 Under Armour has chosen a bold gold colourway which makes the boot stand out and catching people’s attention. The Under Armour Magnetico boot is the new-generation boot, and tech-wise it hasn’t gotten any new features since its release, but it still offers the zero break-in time and a golden touch! Speaking of a golden touch! Take a look at that chrome soleplate… I almost feel like a Champion when looking at it! There is just something about the way Under Armour makes their chrome soleplates, they just hit the spot every time! Are you also going to rush for the gold? Then do it with the golden Under Armour Magnetico boots, get them right her!